Some say it is not possible to fully understand quantum-mechanical spin. Now, I do agree it is difficult, but I do not believe it is impossible. That’s why I wrote so many posts on it. Most of these focused on elaborating how the classical view of how a rotating charge precesses in a magnetic field might translate into the weird world of quantum mechanics. Others were more focused on the corollary of the quantization of the angular momentum, which is that, in the quantum-mechanical world, the angular momentum is never quite all in one direction only—so that explains some of the seemingly inexplicable randomness in particle behavior. The kind of questions we want to answer in this post are variants of the following basic one: if a spin-1/2 particle (let’s think of an electron here, even if the Stern-Gerlach experiment is usually done with an atomic beam) was prepared in a given condition by one apparatus S, say the +S state, what is the probability (or the amplitude) that it will get through a second apparatus T if that was set to filter out the +T state? We should make a few remarks here. First, this thought experiment assumes our particle doesn’t get lost. That’s obvious but… Well… If you haven’t thought about this possibility, I suspect you will at some point in time. So we do assume that, somehow, this particle makes a turn. It’s an important point because… Well… Feynman’s argument—who, remember, represents mainstream physics—somehow assumes that doesn’t really matter. It’s the same particle, right? It just took a turn, so it’s going in some other direction. That’s all, right? Hmm… That’s where I part ways with mainstream physics: the transformation matrices for the amplitudes that we’ll find here describe something real, I think. It’s not just perspective: something happened to the electron. That something does not only change the amplitudes but… Well… It describes a different electron. It describes an electron that goes in a different direction now. But… Well… As said, these are reflections I will further develop in my next post. 🙂 Let’s focus on the math here. The philosophy will follow later. 🙂 Next remark. Second, we assume the (a) and (b) illustrations above represent the same physical reality because the relative orientation between the two apparatuses, as measured by the angle α, is the same. Now that is obvious, you’ll say, but, as Feynman notes, we can only make that assumption because experiments effectively confirm that spacetime is, effectively, isotropic. In other words, there is no aether allowing us to establish some sense of absolute direction. Directions are relative—relative to the observer, that is… But… Well… Again, in my next post, I’ll argue that it’s not because directions are relative that they are, somehow, not real. Indeed, in my humble opinion, it does matter whether an electron goes here or, alternatively, there. These two different directions are not just two different coordinate frames. But… Well… Again. The philosophy will follow later. We need to stay focused on the math here. Third and final remark. This one is actually very tricky. In his argument, Feynman also assumes the two set-ups below are, somehow, equivalent. In the first set-up (a), T is wide open, so the apparatus is not supposed to do anything with the beam: it just splits and re-combines it. In set-up (b) the T apparatus is, quite simply, not there, so… Well… Again. Nothing is supposed to happen with our particles as they come out of S and travel to U.
Hmm… It’s one of those mysterious short passages where we’d all like geniuses like Feynman (or Einstein, or whomever) to be more explicit on their world view: if the amplitudes are different, can the physics really be the same? I mean… Exactly the same? It all boils down to that unfathomable belief that, somehow, the particle is real but the wavefunction that describes it, is not. Of course, I admit that it’s true that choosing another zero point for the time variable would also change all amplitudes by a common phase factor and… Well… That’s something that I consider to be not real. But… Well… The time and distance traveled in the T apparatus is the time and distance traveled in the T apparatus, right? I won’t copy his argument here, but I’d recommend you go over it because it is wonderfully easy to follow and very intriguing at the same time. [Yes. Simple things can be very intriguing.] Indeed, the calculation below shows that the determinant of these special rotation matrices will be equal to 1. So… Yes. End of excursion. Let us remind ourselves of what it is that we are trying to do here. As mentioned above, the kind of questions we want to answer will be variants of the following basic one: if a spin-1/2 particle was prepared in a given condition by one apparatus (S), say the +S state, what is the probability (or the amplitude) that it will get through a second apparatus (T) if that was set to filter out the +T state? So… The z-axis… We take that to be the direction along which we are measuring the angular momentum of our electron, so that’s the direction of the (magnetic) field gradient, so that’s the up-axis of the apparatus. In the illustration below, that direction points out of the page, so to speak, because it is perpendicular to the direction of the x– and the y-axis that are shown. Note that the y-axis is the initial direction of our beam. The absolute values are the same, but the phases are different. Right. OK. Good move. What’s next? Does it give us normalized amplitudes? It should, but it looks like our determinant is going to be a much more complicated complex exponential. 🙂 Hmm… Let’s take some time to mull over this. As promised, I’ll be back with more reflections in my next post. —reduces to ψ(t) = a·e−i·ω·t = a·e−i·[(E/ħ)·t. Unlike what you might think, we’re not equating x with zero here. No. It’s the p = m·v factor that becomes zero, because our reference frame is that of the system that we’re looking at, so its velocity is zero: it doesn’t move in our reference frame. That immediately answers an obvious question: does our wavefunction look any different when choosing another reference frame? The answer is obviously: yes! It surely matters if the system moves or not, and it also matters how fast it moves, because it changes the energy and momentum values from E and p to some E’ and p’. However, we’ll not consider such complications here: that’s the realm of relativistic quantum mechanics. Let’s start with the simplest of situations. One of the simplest examples of a quantum-mechanical system that does not move in space, is the textbook example of the ammonia molecule. The picture was as simple as the one below: an ammonia molecule consists of one nitrogen atom and three hydrogen atoms, and the nitrogen atom could be ‘up’ or ‘down’ with regard to the motion of the NH3 molecule around its axis of symmetry, as shown below. It’s important to note that this ‘up’ or ‘down’ direction is, once again, defined with respect to the reference frame of the system itself. The motion of the molecule around its axis of symmetry is referred to as its spin—a term that’s used in a variety of contexts and, therefore, is annoyingly ambiguous. When we use the term ‘spin’ (up or down) to describe an electron state, for example, we’d associate it with the direction of its magnetic moment. Such magnetic moment arises from the fact that, for all practical purposes, we can think of an electron as a spinning electric charge. Now, while our ammonia molecule is electrically neutral, as a whole, the two states are actually associated with opposite electric dipole moments, as illustrated below. Hence, when we’d apply an electric field (denoted as ε) below, the two states are effectively associated with different energy levels, which we wrote as E0 ± εμ. But we’re getting ahead of ourselves here. Let’s revert to the system in free space, i.e. without an electromagnetic force field—or, what amounts to saying the same, without potential. Now, the ammonia molecule is a quantum-mechanical system, and so there is some amplitude for the nitrogen atom to tunnel through the plane of hydrogens. I told you before that this is the key to understanding quantum mechanics really: there is an energy barrier there and, classically, the nitrogen atom should not sneak across. But it does. It’s like it can borrow some energy – which we denote by A – to penetrate the energy barrier. In case you wonder how we go from those exponentials to a simple sine and cosine factor, remember that the sum of complex conjugates, i.e eiθ + e−iθ reduces to 2·cosθ, while eiθ − e−iθ reduces to 2·i·sinθ. As for how to take the absolute square… Well… I shouldn’t be explaining that here, but you should be able to work that out remembering that (i) |a·b·c|2 = |a|2·|b|2·|c|2; (ii) |eiθ|2 = |e−iθ|2 = 12 = 1 (for any value of θ); and (iii) |i|2 = 1. As for the periodicity of both probability functions, note that the period of the squared sine and cosine functions is equal to π. Hence, the argument of our sine and cosine function will be equal to 0, π, 2π, 3π etcetera if (A/ħ)·t = 0, π, 2π, 3π etcetera, i.e. if t = 0·ħ/A, π·ħ/A, 2π·ħ/A, 3π·ħ/A etcetera. So that’s why we measure time in units of ħ/A above. The graph above is actually tricky to interpret, as it assumes that we know in what state the molecule starts out with at t = 0. This assumption is tricky because we usually do not know that: we have to make some observation which, curiously enough, will always yield one of the two states—nothing in-between. Or, else, we can use a state selector—an inhomogeneous electric field which will separate the ammonia molecules according to their state. It’s a weird thing really, and it summarizes all of the ‘craziness’ of quantum-mechanics: as long as we don’t measure anything – by applying that force field – our molecule is in some kind of abstract state, which mixes the two base states. But when we do make the measurement, always along some specific direction (which we usually take to be the z-direction in our reference frame), we’ll always find the molecule is either ‘up’ or, else, ‘down’. We never measure it as something in-between. Personally, I like to think the measurement apparatus – I am talking the electric field here – causes the nitrogen atom to sort of ‘snap into place’. However, physicists use more precise language here: they would say that the electric field does result in the two positions having very different energy levels (E0 + εμ and E0 – εμ, to be precise) and that, as a result, the amplitude for the nitrogen atom to flip back and forth has little effect. Now how do we model that? Don’t panic. We’ll explain. The equations above are all the same but use different formats: the first block writes them as a set of equations, while the second uses the matrix notation, which involves the use of that rather infamous Hamiltonian matrix, which we denote by H = [Hij]. Now, we’ve postponed a lot of technical stuff, so… Well… We can’t avoid it any longer. Let’s look at those Hamiltonian coefficients Hij first. Where do they come from? These derivatives are pure imaginary numbers. 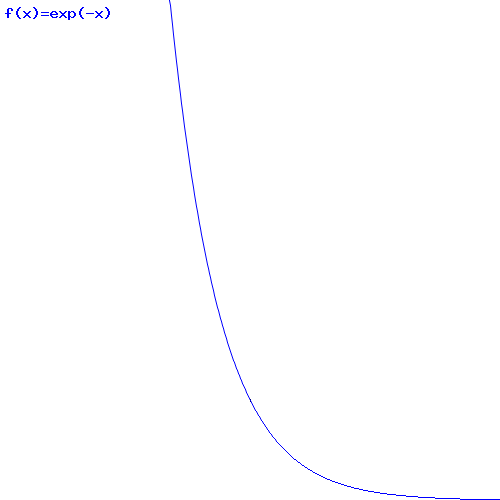 That does not mean that the Uij(t + Δt, t) functions are purely imaginary: U11(t + Δt, t) and U22(t + Δt, t) can be approximated by 1 − i·[E0/ħ]·Δt for small Δt, so they do have a real part. In contrast, U12(t + Δt, t) and U21(t + Δt, t) are, effectively, purely imaginary (for small Δt, that is). I can’t help thinking these formulas reflect a deep and beautiful geometry, but its meaning escapes me so far. 😦 When everything is said and done, none of the reflections above makes things somewhat more intuitive: these wavefunctions remain as mysterious as ever. I keep staring at those P1(t) and P2(t) functions, and the C1(t) and C2(t) functions that ‘generate’ them, so to speak. They’re not independent, obviously. In fact, they’re exactly the same, except for a phase difference, which corresponds to the phase difference between the sine and cosine. So it’s all one reality, really: all can be described in one single functional form, so to speak. I hope things become more obvious as I move forward.